Falk, Harry (ed.). 2015. Kushan histories. Literary sources and selected papers from a symposium at Berlin, December 5 to 7, 2013 (Monographien zur indischen Archäologie, Kunst und Philologie 23). Bremen: Hempen Verlag. 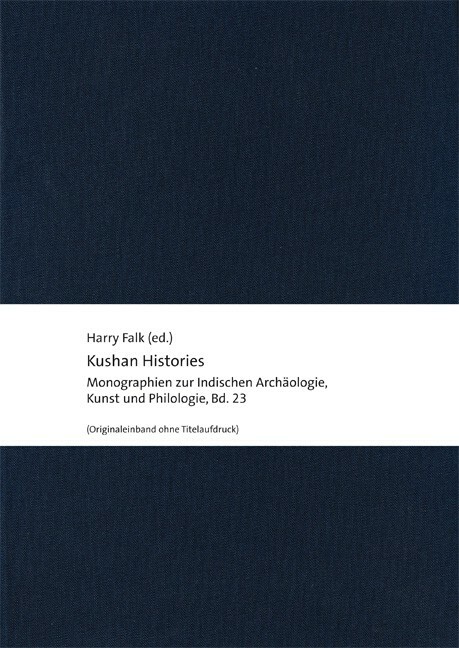 Harry Falks “Kushan Histories“ discusses new research concerning the Kushan dynasty and is based on a Symposium held from December 5-7th, 2013 in Berlin. The first part of the book introduces the literary sources. After naming the primary sources and translations a wide range of texts presented chronologically gives an overview of the Kushan history in its totality. In the second part of “Kushan Histories” five papers deal with different religious, military and cultural aspects of the Kushan dynasty: How were the expansion of Buddhism and the dynasty linked to each other and which role did Zoroastrianism play among the Kushans? How can new geographical perspectives prove the former existence of a military camp of the Kushans north of the Bactra oasis? Which historical data regarding Kanishka’s conquest of India can be drawn from a Bactrian inscription and what did the female deity Nana mean to the Kushans? Harry Falk is an emeritus professor of Indology at the Institute of Languages and Cultures (dissolved in 2012), at the Freie Universität Berlin.